Valentine’s Day is just a few days away! I always seem to come up with homemade present ideas a day or two before the actual holiday comes around, leaving me a short window to actually grab supplies and make it come to life. That’s why I’m excited to share this Valentine’s Day DIY concept today — it’s inexpensive, simple to make and a great idea to have in your back-pocket for last-minute gifts because all of the materials can be found at your local grocery store! I repurposed a cardboard egg carton and gave it a quick layer of craft paint in a pink tone. 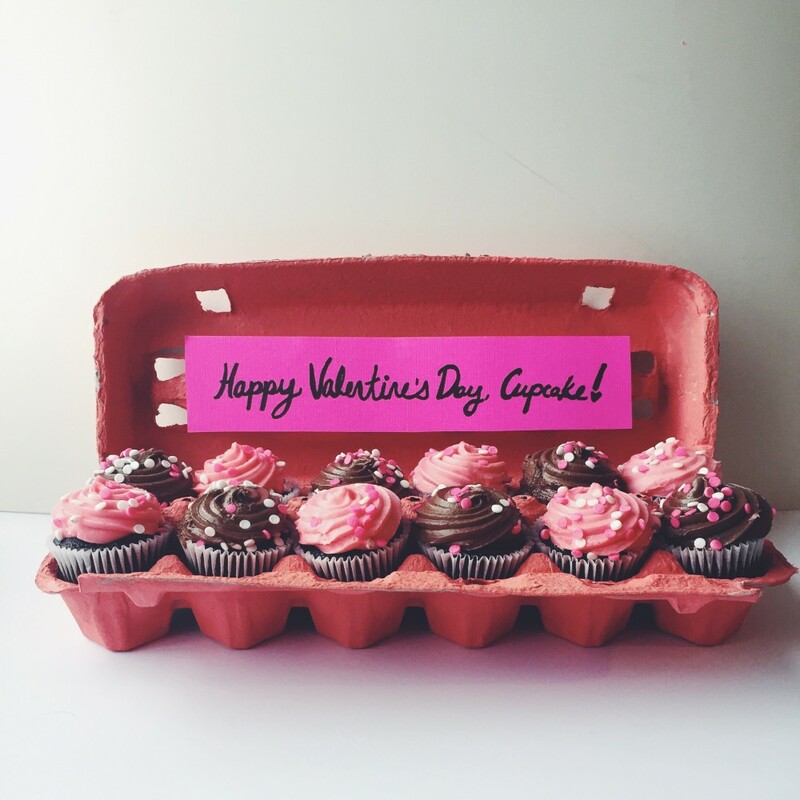 Then I popped a dozen mini-cupcakes from the grocery store bakery section into the egg carton once it dried, and glued a hand-lettered message to the inside of the container that says “Happy Valentine’s Day, Cupcake!” It’s a great way to gift sweet treats without having to bake them yourself — repackaging the items makes them feel special. To enter to win leave a comment below to share how you’d use your $50 gift card to treat your Valentine (or yourself!). For an extra entry, LIKE the Domestikatedlife Facebook page and leave another comment below. For an extra entry follow @domestikateblog on Instagram and leave another comment below. For an extra entry, share a post with your own gifting ideas using the hashtag #givebakery and include a comment below with your post. This giveaway will end at 5:00 PM EST on Friday, February 13th and is open to US residents only. Please note: This post was sponsored by Rich Products Corporation, all opinions, ideas, and DIYs are my own. Piñata-Inspired Valentine DIY. 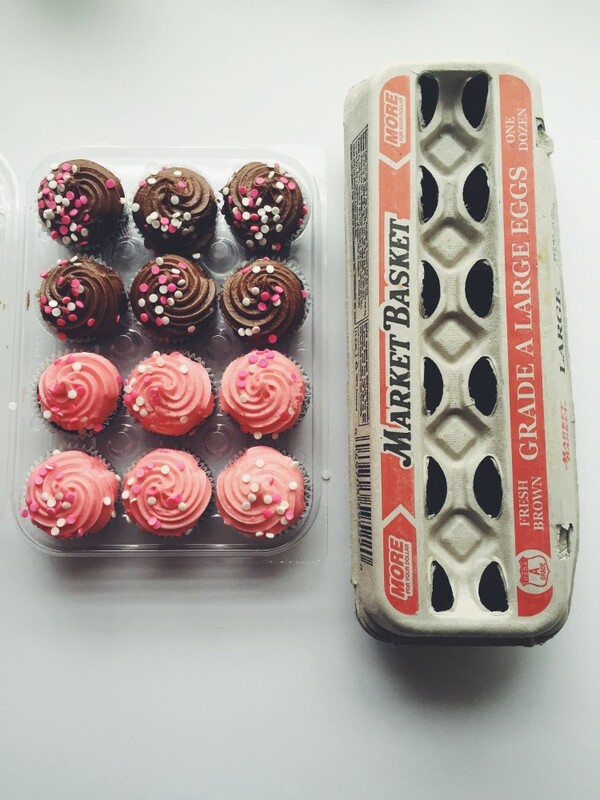 A Valentine’s Day DIY For The Guys. 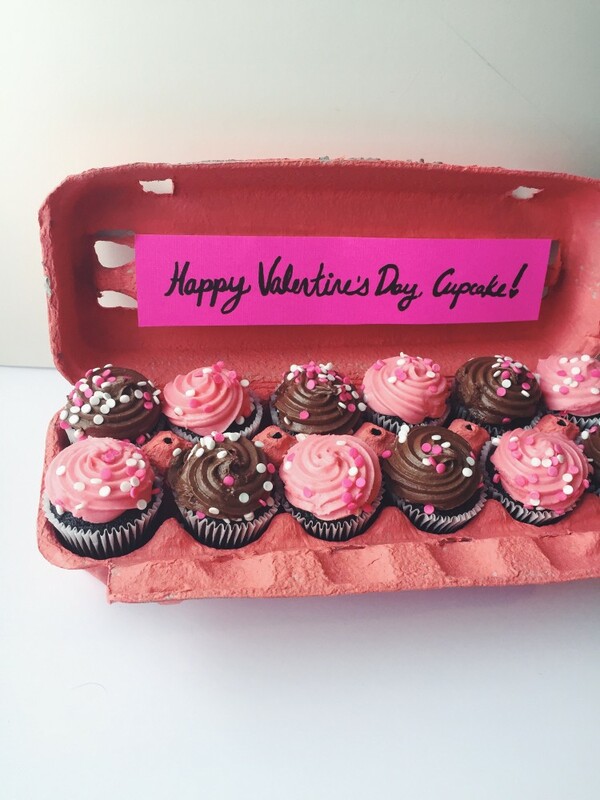 48 Responses to "A Sweet Valentine’s Day DIY + Giveaway." i would treat myself for a box of chocolate truffles for valentines, something I rarely indulge in. I’ll never get over how cute this is…. Such a cute idea Kate! I’d treat my Valentine to brunch with the gift card- so many great spots in Boston 🙂 I follow you on Instagram already too! My boyfriend and I recently got a house so we would use it to help furnish our house, we could really use the money! Not entirely romantic, but it would be something for us. I would treat mom and day if I won this one. I’d treat my family to something chocolatey, like chocolate cheesecake! What a fun idea! Love MB. I would use it to buy food to cook dinner for my sweetie. I think it would be wonderful to share a romantic dinner with my sweetie. We always love to stay in and cook a fun meal together, this would definitely help! Aaaaand I like you on FB obvee. I would buy a box of chocolate and share with my BF of course! I also like you on FB ! I would treat us both to a day trip to the mountains! I’d go to my favorite restaurant for Chocolate Souffle. I would treat myself to a spa pedicure. Been feeling a little under the weather lately so I’d go get some hot soup. I’d treat myself to brunch!